If you are a fan of interior design and home renovation, you might be surprised to notice that the current biggest trend in farmhouse style kitchens took inspiration from the least glamorous part of the city – the subway! A style that has proven to be more than just a flash in the pan in interior design over the past few years has been a cozy farmhouse chic look. Think a lot of white, shiplap, bare wood, and strangely, subway tiles. The 3×6 inch, glossy ceramic tiles are popping up in stylish kitchens across America, as the backdrop to huge, statement ovens and hobs. 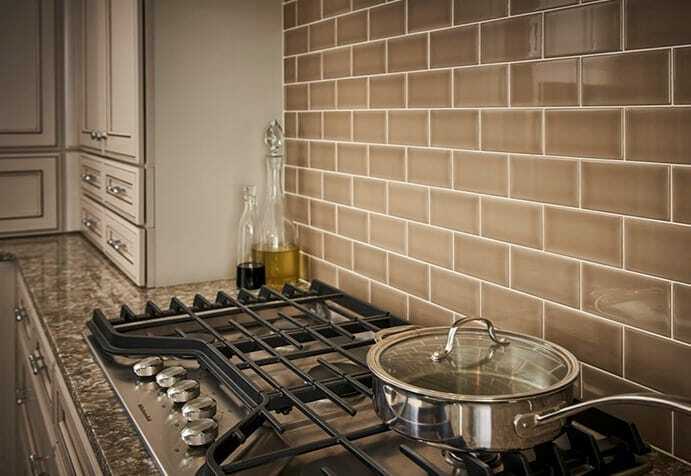 Although we might not necessarily think of urban subway tiles as being at home in a farmhouse style kitchen, this is not at all a new trend. Although they have become incredibly popular recently in home decor, they actually debuted over 100 years ago. This modern take on a post-recessional style has really burst back onto the scene in the past few months, and experts believe that it might be their soothing shapes and traditionalism that are needed in the crazy times that we are in. In fact, the classic, timeless shape and soothing effect were exactly what was on the minds of architects George C. Heins and Christopher Grant Lafarge who were tasked with creating the look of the first New York City underground station. Bright, hygienic and affordable, with the rounded corners and smooth finish making them easy to clean – important in both a subway and a kitchen! Back in the 1920s, these tiles were being used in kitchens and bathrooms everywhere. Not necessarily for style reasons, but as it was pretty much the only option available at the time. It wasn’t a time period with a lot of choices when it came to tiling, and due to the pace of growth in America during this time, the tile industry required synchronization in production and installation, and so specifications were made uniform. Now it is used in homes with style at the forefront and it is likely that a lot of homeowners who have chosen this tile haven’t even realized where they have seen it before! The Subway tile is neutral and can be made to work with a traditional, farmhouse-style kitchen, as easily as a modern, monochrome bathroom. A timeless option that will not date your style is necessary when you are making big renovations to a home. As with all trends, there are those fashion-forward individuals who are always looking for ways to make their style a little different. Different colored subway tiles are now an option, with bright colors being mixed in, as well as gradients of watercolor glaze. 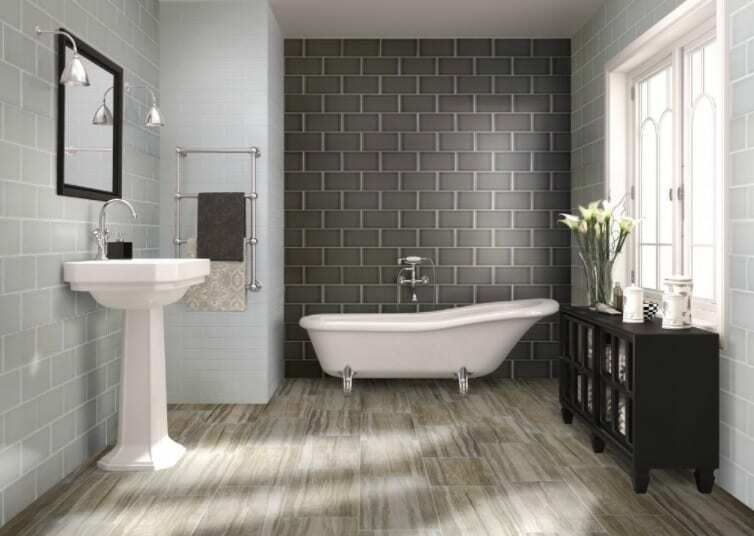 You could also make a statement by using a darker colored grout to give the room a little more of a modern industrial feel – although it’s important to remember that these alterations might take away the timelessness. So next time you are lusting over a kitchen on Instagram or waiting for a train home on a Subway platform, remember the interesting connection between the two!